Read more about the eligibility criteria for the boiler grants scheme here. Hiya, I am currently in a private rented property in Cornwall with myself and 2 children. I get housing benefit, child tax credits and income support. My boiler is over 15 years old and was the orginal when the house was built. Very inefficient now. It’s mains gas and I have water tanks that heat up. The gas needs to be on ages before the water is hot etc. Would I qualify? Thanks! Hi Laura, based on what you’ve explained above there is a good chance you would qualify for a grant under the ECO scheme. Because the scheme is currently changing we are unable to take new applications – however if you are able apply elsewhere this would definitely be worth doing. Alternatively if you keep an eye on our website, we will be updating it as soon as we know more about the newly updated scheme. Hopefully this helps! Hi Norman, it sounds like your boiler would likely qualify under the scheme but without a little more information about your benefits it’s hard to say if you might qualify. I would recommend filling in the form on our website as this should give you an indication. Hopefully this helps, please don’t hesitate to get in touch with any further questions. We had a Warmfront grant, for a new boiler & cavity wall insulation. The grant still had money left in the “pot”. Will we still be able to use the money, which was left over, to upgrade the boiler? Hi Carol, I’m glad to hear you were able to benefit from the scheme! I’m a little unsure on this one – as far as I’m aware under the ECO scheme (which is the new version of Warmfront) you are only able to get a grant towards/ to cover the cost of a new boiler or insulation, as opposed to a monetary sum. May I please ask, did you go through our website boilergrants.co.uk to apply for your new boiler and insulation? Hi Caro, it’s hard to say if you would qualify without a little more detail. For this reason I would recommend filling in the form on this website as it should give you a clear indication if you might qualify or not. It’s also worth noting that due to a lack of funding for new gas boilers under the scheme we may not be able to process your application at the moment (other fuel types aren’t affected by this) but if this is the case we would recommend getting in touch with the Energy Saving Advice Service as they offer free and impartial information about access to the ECO, and the other types of support available. They can be contacted on 0300 123 1234 (calls are charged at the standard national rates). Hi Gary, unfortunately I don’t believe you would be able to qualify based on the benefits you receive. It is however worth getting in touch and double checking this with the Energy Saving Advice Service as they offer free and impartial information about access to the ECO, and the other types of support available – so they may be able to advise you on any other options available too. They can be contacted on 0300 123 1234 (calls are charged at the standard national rates). Hi Doreen, unfortunately we would be unable to help you with an ECO application due to your property type. My advice would be to get in touch with the Energy Saving Advice Service as they offer free and impartial information about access to the ECO, and the other types of support available – so they may be able to advise you on the best options. They can be contacted on 0300 123 1234 (calls are charged at the standard national rates). Hi, I’m on Universal Credits live in my own home with my brother who’s at work. The boiler is a backboiler with a front gas fire. Hi Phil, it’s hard to say if you would qualify without a little more information, so I would recommend filling in the form on our website as this will let you know if you might be able to qualify. Hopefully this helps, please don’t hesitate to get in touch with any questions. My 80 yr old mums boiler packed up yesterday. She lives in her own bungalow and is on a state pension the only money she has coming in.would she qualify or is there any help out there where she can get help. Thank you. She lives in Suffolk. Hi Toni, I’m sorry to hear about your mum’s boiler. It’s hard to say if she would qualify without a little more information, but if she also receives Pension Guarantee Credit it is possible she may be eligible. If so, I’d suggest filling out our online form which will give you a clearer indication (and if it looks like she’s eligible one of our team will give her a call). It’s worth noting though that the process of getting a new boiler through the ECO scheme can be quite lengthy. Hi John, I’m very sorry to hear about your boiler situation. Unfortunately I don’t believe you would be able to qualify for a grant under the ECO scheme as the government’s criteria say that boilers have to be under 86% efficient to qualify and I believe the Greenstar i Junior has a higher efficiency that this. It’s worth getting in touch with the Energy Saving Advice Service as they offer free and impartial information about access to the ECO, and the other types of support available – so they may be able to advise you on the best options. They can be contacted on 0300 123 1234 (calls are charged at the standard national rates). I am a tenant in a private rented home, my land lord is great but just cant afford a new boiler. I am currently working but I am 10 weeks pregnant. Would I be able to apply for a boiler before the baby is born even though I am not currently claiming any benefits? Hi Lou, thank you for your question. Unfortunately in order to qualify for the government’s ECO scheme you must be in receipt of certain benefits. The Energy Saving Advice Service may have more information about any alternative schemes that may be available. They can be contacted on 0300 123 1234 (calls are charged at the standard national rates) or found online. Hello asking on behalf of my father he has just been awarded pip enhanced rate due to his cancer (currently on chemo) his wife works full time 22k a year his boiler is at least 17 years old and is intermittent and leaks is he entitled to this please. Hi Mallissa, I’m very sorry to say that I don’t believe PIP is one of the qualifying criteria for the scheme, or at least not one we are able to process applications for. I would suggest getting in touch with the Energy Saving Advice Service who can be contacted on 0300 123 1234 (calls are charged at the standard national rates) or found online as they may be aware of any alternative options. It may also be worth double checking with Ofgem themselves (who run the ECO scheme) that PIP is not a qualifying criteria. Please accept my apologies that we could not be of more help in this instance. Hi I’m sorry I know you get an awful lot of these requests but I get the enhanced rate of PIP I also get ESA & am about to be retired as medically unfit form my job as a TA in a special needs school. We have had no hot water since before Christmas & have to be very careful with the radiators (manual). I’m almost housebound with a brain tumour & epilepsy so getting it fixed is quite a priority. I’m only 45 & this has all come as a bit of a shock if I’m honest. Any help would be much appreciated. Hi Mrs Moss, that’s no problem – we are happy to help answer questions where we can. I’m very sorry to hear about your heating situation. Income-based ESA is one of the benefit criteria the government has set out for the ECO scheme but there are also others (such as the efficiency level/ age of your boiler and your property type) so we would need a little more information to determine if you could be eligible for the grant. If you would like to apply for this grant you can use our online form to see if you may be eligible and one of our team will give you a call if it looks like you might be eligible. If you do choose to apply with us could you please also send me an email through the contact page of this site and I will try my best to let our team know that your enquiry should be looked at asap due to your situation. Please do note though that the ECO boiler replacement process can sometimes take a long time to complete after we’ve processed your application and it has been passed on to an installer so it may not be ideal since you need your boiler fixed very soon. For this reason I would also recommend getting in touch with the Energy Saving Advice Service as they offer free and impartial information about access to the ECO, and the other types of support available – so they may be able to advise you on the best options for your heating situation both short and long term. They can be contacted on 0300 123 1234 (calls are charged at the standard national rates) or found online. Also, your local council may also have some information about any schemes available in your area so it may be worth contacting them. Hopefully this helps, please don’t hesitate to get in touch with any other questions you may have. Hi Claire, I’m sorry to hear about your boiler situation. You can certainly still apply even though you are not the homeowner. We would just need to check the property type (house/flat/bungalow etc) and some other information to see if you might qualify. Apply online using the form on this website. Due to the fact that you have no boiler currently, I would also like to mention that the ECO process can take a while to complete once we’ve put you in touch with a local installer (possibly even a few months in some cases) so it may be good to also seek advice from other places on what you could do in the interim, or if you don’t qualify, such as the Energy Saving Advice Service who can be contacted on 0300 123 1234 (calls are charged at the standard national rates) or found online. I hope this helps, please don’t hesitate to get in touch with any questions. We are just about to buy a house but we won’t be moving in straight away as it needs a lot of work including a new oil boiler it’s very old and efficiency for the house is 27 / F.
I’m on PIP enhanced / mobility and ESA both due to chronic health conditions. We’ve looked into this and unfortunately you would not be able to get the grant as you must be living in the property. Also all of your benefits and documents must be registered to your new address in order to be eligible for the grant I’m afraid. Hopefully this answers your question, please don’t hesitate to get in touch with any other questions you might have. Hi Peter, unfortunately you wouldn’t qualify under the benefits criteria of this particular government scheme, but there may be other options available. I’d recommend getting in touch with the Energy Saving Advice Service as they offer free and impartial information about access to the ECO, and the other types of support available – so they may be able to advise you on the best options. They can be contacted on 0300 123 1234 (calls are charged at the standard national rates). Also, your local council may also have some information about any schemes available in your area so it may be worth contacting them. Hi Stephen, it’s hard to say if you will qualify without knowing a little more information (such as the age of your boiler or any benefits you may be receiving). I would recommend filling out the form on this website as it will tell you instantly if you don’t qualify, or if it looks like you could qualify one of our team will give you a call and talk over the grant with you. It’s also important to know that currently we are not always able to put those applying for a gas boiler grant in touch with an installer due to low funding for this type of fuel. Hopefully this helps, please don’t hesitate to get in touch with any other questions. Hello. I am an 81 yr old widow and I live in my own home. Its a 3 bedroom semi built just after the war. There is no central heating upstairs and only partially heated downstairs by means of a back boiler and a small radiator together with a living flame gas fire. Hot water is supplied by an immerser heater. Would I get a grant to install full central heating. I only receive the state pension and a small private pension. Hi Jane, unfortunately it doesn’t sound like you could qualify for a new boiler under this scheme but there are 3 places I would recommend getting in touch with to see if there’s any other schemes or help available. Firstly the Energy Saving Advice Service as they offer free and impartial information about access to the ECO, and the other types of support available – so they may be able to advise you on the best options. They can be contacted on 0300 123 1234 (calls are charged at the standard national rates). Secondly, Age UK offers a lot of good information about heating help for those of pension age. Thirdly, your local council may also have some information about any schemes available in your area. My name is Cynthia and we are about to buy our first home but the gas engineer’s report failed and ranked the old flu system as unsafe. The seller has refused to reduce the asking price. My husband and I both work but we are in receipt of Child Tax Credit and until April also received Working Tax Credit. Are we eligible for a new boiler grants ? It’s hard to say if you would qualify once owning the property without knowing a little more information. There are a couple of considerations to make; firstly Child Tax credit is a qualifying criteria, however your household income must be below a certain threshold which is based on how many children you have. Secondly the boiler must qualify under the government’s criteria. Finally, the fuel type of the boiler plays a part – currently we are not always able to put those applying for a gas boiler grant in touch with an installer due to low funding for this type of fuel. I would recommend taking a look at our application form as this will tell you instantly if you don’t qualify, or if it looks like you might we can give you a call and go over the details. Hopefully this helps, please do let us know if you have any more questions. Can I get free boiler under this scheme. I have already filed the form . Hi Taufiq, thanks for your comment. I’ve looked into your application with us and unfortunately the boiler you have doesn’t qualify for this scheme as it is condensing. I would suggest getting in touch with the Energy Saving Advice Service as they offer free and impartial information about the types of support available for boilers and heating – so they may be able to advise you on the best options available. They can be contacted on 0300 123 1234 (calls are charged at the standard national rates). Hi June, I’m sorry to hear about the situation with your boiler. Currently due to a lack of funding in the scheme we are unable to process any applications for gas boilers. I would suggest getting in touch with the Energy Saving Advice Service as they offer free and impartial information about access to the ECO, and the other types of support available – so they may be able to advise you on the best options available. They can be contacted on 0300 123 1234 (calls are charged at the standard national rates). i am 77 years old 16 year old boiler broken. Receive retirement pension and dla. Do I qualify for free boiler? Hi Christine, it’s hard to say without knowing a little more information, so I would recommend filling in the form on this website as this will let you know if you may qualify. It is also worth noting that if you have a gas boiler we are currently unable to process any applications for a replacement gas boiler due to limited funding within the scheme (this does not affect oil or LPG boilers). Hi, if i qualify for the boiler do i need to pay anything else? Or is it 100% free if u r qualified for it? I get child tax benefits, and i dnt work. Hi Afroza, thanks for your comment. In some cases you can get a 100% grant for a new boiler (effectively making it completely free) however it is likely that you will be asked to contribute towards your new boiler. To clarify though, the grant itself is completely free and you would not have to pay any of that back. Hi Danielle, thanks for your comment. We would need a little more information to determine if he would be eligible, so I’d recommend filling in our online form and if it does look like he would be eligible one of our team can give yourself or your brother a call and go from there. It’s worth noting that at this point funding for this scheme is very limited for gas boilers, so we may not be able to find an installer for you at this time (this does not affect applications for LPG or Oil), however more funding may become available at a later date. If he does not qualify, or if he has a gas boiler and we are unable to put him in touch with an installer at this time, I’d recommend getting in touch with the Energy Saving Advice Service on 0300 123 1234 (calls are charged at the standard national rates) to see if they may be able to advise you on any alternative options. Please could I check about the qualifying criteria? Is it only if you are linked to mains gas? My parent’s heating is fuelled by a stove and back boiler (which has broken) and mains gas doesn’t run to their village! Hi Sarah, you can also apply for a boiler grant under the ECO scheme if your boiler is fueled with LPG or Oil. The best way to find out if your parents might qualify is to complete the form on our website, and if it looks like they might be eligible we will get in touch to guide you through the next steps of the process. Hopefully this helps, please don’t hesitate to get in touch with any other questions. I am a council tenant does this mean that I do not qualify?? If not is there any help I can get elsewhere as my heating is really expensive, my boiler is very old and I am single parent with two young children and its becoming a problem deciding weather to heat them or feed them its seriously that bad. Hi Annmarie, thank you for getting in touch, I’m sorry to hear about your heating situation. Unfortunately you won’t be able to qualify for an ECO grant through our website. I would advise getting in touch with the council as they will be able to advise you further. It may also be worth getting in touch with the Energy Saving Advice Service as they offer free and impartial information about access to the ECO, and the other types of support available – so they may be able to advise you better. They can be contacted on 0300 123 1234 (calls are charged at the standard national rates). 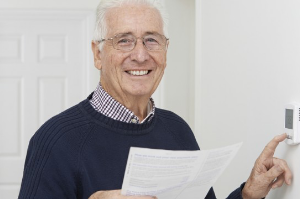 CAN I CLAIM FOR A NEW BOILER ,I RECEAVE DLA AND I RECIEVE COUNCIL TAX SUPPORT , I AM 73 YEARS OF AGE . THANK YOU . Hi David, it’s hard to say if you would qualify without further details so I would recommend filling out our online form. This will tell you instantly if you might be able to qualify or not based on things like the benefits you receive and the age of your boiler. Hello I am really hoping you are able to help me out. I am a Home owner aged 52, with a boiler that is over 10yrs old. Veterans Agency as my medical condition are related to my service namely the Gulf Conflict. All my benefits are equal to the normal civilian benefits (but have a slightly higher payout). All my benefits are named different to the civilian ones that are listed on every boiler grant sites so get declined. As the Veterans Agency and Benefits Agency do not communicate with each other, nothing has been done to remedy this situation with the different naming of The Veterans Agency payments. Are you able to help me in some way that ultimately will lead to getting a new boiler. Hi PJ, unfortunately it sounds as though you may not be able to apply using the Boiler Grants website, however I would recommend getting in touch with the Energy Saving Advice Service as they offer free and impartial information about access to the ECO, and the other types of support available – so they may be able to advise you better. They can be contacted on 0300 123 1234 (calls are charged at the standard national rates). I will call EASA and see what they can do. We are a homeowner and I work part time and my husband works full time on minimum wage. We don’t claim any benefits but do struggle month to month on our low income .We have one child at school who is 15 years old. Our boiler has been playing up for months and we have had no hot water for 2 months now. We have had it looked at and told it can not be fixed and they no longer make the parts for it as its over 20 years old. Is there anyway we can get help to replace it as we just can’t afford to buy a new one? I’m very sorry to hear about the situation you are experiencing with your boiler. The government’s ECO boiler grant is based around the receipt of benefits so unfortunately it does sound like you may not qualify for this scheme. One thing I would mention in case it does apply for you, is that if you receive Child Tax Credit and have an income of £16,010 or less you can apply for the scheme with these two criteria alone and no other benefits. my mother is 79 and her boiler is at least 8-10 years old and malfunctioning, and probably needs renewal, is she eligible for any grant as she has state and private pensions, and has Attendance Allowance because she is registered Blind, but receives no other benefits. Unfortunately it sounds as though your mother may not qualify based on this information. If your mother is in receipt of Pension Credit then she may be eligible (although this also depends on other criteria – the best way to check this is to fill out the form on our website and it will tell you if you have been unsuccessful or a member of our team will get in touch to discuss it further if it looks like you may qualify). 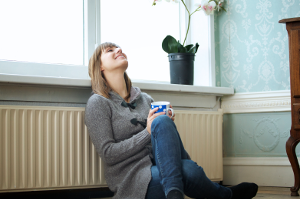 If she isn’t eligible for this type of grant it may be worth visiting the websites of, or getting in touch with, resources like the Energy Saving Trust or Age UK for information on other schemes to help with heating. Hi my boiler broke the other day and its costing landlord for a guy to fix the boiler but would I Av got a free boiler fitted on government scheme as I’m in reciete of benifits on here? Even though the boiler had broken and instead of landlord paying for it himself?? I’m going to save up and before winter use my local plumber as I just hate companies who are ripping ppl off. I have a 25 yr old back boiler in my flat (2 bed roomed) which I own in SW London. I am a 69 yr old pensioner and get Pension Credit with minimal savings and no other income. My boiler needs replacement but on any sites I have made inquiries, they say that I do not qualify as I live in a flat. I have not seen specifically that being a flat precludes me from claiming a free boiler except on enquiry. Are flats excluded from the scheme or is it that some companies do not wish to replace them in flats. Am I able to get some help with a replacement boiler? I’m a flat owner and and my boiler is 15+ years old. I get PIP and ESA income based. I’m a cancer patient. Am I eligible for boiler grant? Hi I am a homeowner and getting ESA and my boiler is 5-6 yrs old – do I qualify ? Hi Vito, unfortunately from what you have described your household income may be over the threshold to receive an ECO grant. I would suggest getting in touch with the Energy Saving Advice Service on 0300 123 1234 (calls are charged at the standard national rates) to see if they may be able to advise you on any alternative options. Hi, my nan lives full time in a park hime connected to the mains gas and receives pension credits. I have tried to visit your website but when it asks for house type there isnt an option for a park home so dont know what option to choose so that i can check if she qualifies for a grant. Can you please advise wgat i should do to check her eligibility. Thanks. We had E-ON visit our flat which is rented to tenants who are ECO eligible but the surveyor told us they could fit a new condensing boiler as would not pass gas safety regs due the flue gasses? Not heard from them since. Is this correct that in flats this may be an issue. The flue vents to outside but they said the flat above may have problems being subjected to the flue gasses? Hi I rang Eco regarding a boiler grant and was told I was eligible however eon than rang to send an assessor out and told me I was not eligible due to my boiler only being 6year old. My current boiler has been condemned and told by a professional that it it beyond economical repair but eon would not even look at it! Is there any other providers working with the boiler grant scheme that would consider me? I an on work tax credits with an income of under 15,000 I have two children aged 4 and 12 surly there is some help out there I have no source of heating or hot water and it’s now October! Hi Lynsey. 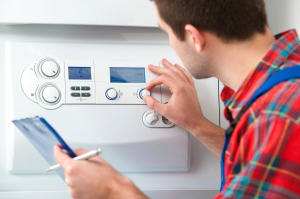 Boiler grants are awarded on the efficiency of your current boiler and your benefit situation. The ECO scheme has strict criteria in place, which includes age and efficiency of the boiler. If your existing boiler is only 6 years old then it will be classed as too efficient to replace. I must say it’s unusual for such a new boiler to be condemned and classed as uneconomical to repair. What make and model is it? I presume you didn’t have an extended warranty when it was installed? If you’re not eligible for a boiler grant, you could consider the Green Deal but it does mean taking out Green Deal Finance. It’s a Government scheme designed to help people make energy saving improvements to their homes without having to pay for the work upfront. Hi, I live in a residential park home. Would I qualify for a new boiler? Hi Ken. If your residential park home is connected to mains gas then you should be eligible – subject to you and the existing boiler meeting the eligibility criteria of course. Mobile homes however, even if connected to mains gas, aren’t. To find out if you can get an ECO boiler grant, visit https://www.boilergrants.co.uk/ and fill out the short online form. Hope that helps. Hi Dominic, your wife would qualify with pension credit. Household income is taken into account if applying with Child Tax Credit or Working Tax Credit. I would advise you to visit https://www.boilergrants.co.uk as soon as you can and apply there. The team at Boiler Grants will need to check your details, including that your boiler qualifies, etc. Hope that helps. Can I apply for the grant even though I have replaced the boiler? Hi Anna, no, you won’t be able to apply for a boiler grant. Although you may meet the eligibility criteria, your boiler will be too new and efficient to qualify since you have only just had a replacement fitted. Hi, I’ve stumbled across this blog more by accident than design and thought I would let readers know of my 85 yr old ex serviceman, father’s so far sorry experience of the so far misleading and inexplicable boiler replacement scheme. Whilst in receipt of pension credit, we discovered that he does apparently meet the criteria for the the requirements for the boiler scheme either cash back or grant. My father like others, applied for the scheme in his case over 6 months ago and after a surveyor came round and wrote off the (back type) mains gas boiler as inefficient, (no heating) also confirmed that my father qualified under the scheme. The surveyor also said the Gas engineers would be in contact next few weeks. So in the months that passed no one contacted my father at all. So fortunately (or unfortunately) having noted the name of the firm involved off the side of the van that arrived, we contacted them by phone and we were told in a tone of voice that was entirely plausible (read Jackanory for this part) said they had staff off with illness and that indeed some one would be in touch. Now despite an extremely large fancy presence on the internet with a phone number in large writing encouraging people to phone (for boiler info) after another 4 weeks we telephoned the number and found It was no longer available, how surprised were we? Upon further looking into what had happened we found out the firm with the fancy web site, with the staff off work with illnesses and who are also are into building new houses, we were told had actually(?) (read apparently) gone into liquidation. So we applied again on the Eco website for the boiler grant scheme. Another few months goes by and we still heard nothing. So we phoned up the organisers quoting the reference number we were given. And you’ll never guess what? These have also gone into liquidation. (biting my tongue) we’ll just keep on applying. Just thought I’d let you know. It’s probably far too difficult for someone in charge to authorise reallocation of the / customer to a new surveyor or installer. Hi Dave, thank you for your comments and for taking the time to share your father’s experience of the boiler grants scheme. I’m really sorry to hear what’s happened. We receive lots of comments on the blog about people who have had similar experiences and have been let down. However, we do also hear success stories. We have in fact helped many people to benefit from the boiler replacement grants scheme, and we are continuing to do so. A lot of companies have lost their funding due to the cuts the scheme endured earlier this year, which has impacted applicants. I don’t know which part of the country your dad lives in, but we may be able to help, if we have an installer in his area. My advice would be to visit our website https://www.boilergrants.co.uk and apply there. Let me know if I can be of any further help. I do hope your dad manages to get a boiler replacement sorted before the winter. Im a homeowner/ occupier & on esa & dla. My boiler is 16 yrs old n a ravenheat. I applied feb 2013, got no reply so applied again mar 2013. A man visited my house, told me i qualify n ive done nothing but chase them for over a year. Another man visited me mar 2014. Today i recieved a letter stating i’d have to pay a contribution of £880.06. My dad is on esa & renting with a private landlord. I applied 2wks after he did with the same company. His landlord got a boiler free of charge. We both live in a 1 bedroom flat. I dont understand why my dads landlord is benifiting from this scheme more than me. She can kick my dad out once his lease is up in a yr.
Hi Shirley. Thanks for sharing your story about the boiler grants scheme. Being on ESA is a qualifying criteria for a grant. Your boiler also has to qualify – usually if it is 86% efficient or less it would qualify, which it seems you do. As you may or may not be aware, this scheme was first introduced last year. In the early days applicants were more likely to qualify for a 100% boiler grant, meaning they wouldn’t be asked for a contribution. Where we’re at now, the scheme has endured funding cuts this year, therefore people are being asked to make contributions based on the efficiency of their home and the amount of work required. I don’t know your dad’s circumstances in detail, what sort of boiler he has, how efficient his home is, what work is required, etc. You don’t hear of many people getting boilers installed completely free at this stage of the scheme. Hi Michael. It sounds like you might be eligible, given that you live full time in a park home. You will need to be on mains gas and your existing boiler will have to meet the eligibility criteria too. My advice would be to visit https://www.boilergrants.co.uk and submit your details to find out if you qualify. Hi. If you receive the Pension Credit top up on your State Pension then you should qualify for a boiler grant considering the age of your boiler. You can visit https://www.boilergrants.co.uk to apply. However, if you don’t receive Pension Credit then I’m afraid you won’t be eligible for a boiler replacement grant under the ECO scheme. I don’t know where you live, but there are also schemes in Scotland, Wales and Northern Ireland. The Energy Saving Trust would be able to tell you if you qualify for any other type of grant, if you don’t receive Pension Credit. If you do have to fund the boiler installation yourself, I would advise you to get 3 quotes, that way you can make sure you receive a competitive quote. The average cost of a simple straight forward installation is around £2,300, but it will depend on the work involved and whether you require extra piping, radiators, etc. 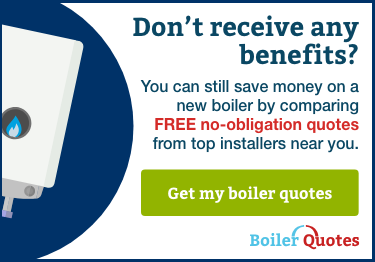 You can get free no obligation boiler quotes from approved and accredited boiler and heating engineers by visiting https://www.boilerguide.co.uk. I hope the information I have provided helps. Hi Kate, I’ve had the same issue as reported in other blog comments re: BG pulling their funding. My father (qualifies because of disability) had a job number, they came out and did the assessment and have now advised (months later) that the funding has been cancelled. He can have a new boiler but must pay £1900 installation fees which seems excessive and is far above what he can afford. Hi Benjamin, thanks for your post. Wow, is the £1,900 a contribution? I’ve never heard of anyone having to fork out such a large sum of money towards a boiler grant. We might be able to help your father apply for the ECO scheme. Visit our website https://www.boilergrants.co.uk and apply there. Best of luck. Hi, you could contact the Energy Saving Trust in Scotland on 0808 800 2282. They would be able to advise you. I would normally direct you to our website https://www.boilergrants.co.uk however as we don’t have any installers in this area with funding, currently it wouldn’t be worth you submitting your details at this time, unfortunately. "I am very impressed, I was contacted well before 24 hours, everything was explained and understandable. Thank you and very well done."